sengchai Are u trying to tell ppl that u brt this stock.so u wan ppl to phish up for u.smart move. ticktock Jim Rogers Take Initial Stake in Geo Energy Resources? 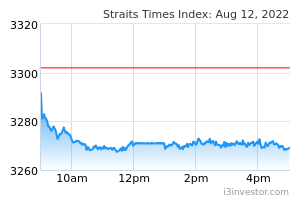 ticktock JR acquired 1.7mm shares at 35.5cts on 22aug. JR also has a 10yr call option for 2mm shares at 35cts exercisable after 1Jan 2015. JR is a long term investor.....Buy and hold........can we do the same? ticktock time to take a look again?? Hokkien JR may make tons of money from some investments, however, he may also invest wrongly from time to time. Don't forget, Geo Energy is controlled by Indonesians, can we rust Indonesian businessmen based on records? History of this. 22-08-2013. When news leaked Uncle Jim Acquired 1.7 Million Shares At S$0.355 Each. Uncle Jim after all an 70 plus old man. haikeyila How will Indonesia's proposed ore export ban affect this counter, if any? clarence_yeo2003 @haikeylia we will not know how it will impact the geo energy performance time will tell and how investor's perceive its performnce. inphyy Hmmm..... X'mas 2014? Hit 0.425 when followers realised that white knight vested. That was good old time. clarence_yeo2003 buy despite posting a quarterly loss.